This paper analyzes the impact that natural gas imports could have on fuel emissions in northern Mexico. We discuss the problem created in the 1980s when a shift from natural gas to residual oil in industrial processes increased emissions of air pollutants significantly. The benefits of substituting leaded for unleaded gasoline in the 1990s are discussed also.In July 1992 the Mexican government announced for the first time since oil nationalization that private companies in Mexico are allowed to directly import natural gas. The transportation of natural gas, however, remains reserved only for Pemex, the national oil company. This opens the possibility of reducing the burning of high-sulphur residual oil in both the industrial and the energy production sectors in Mexico, particularly in the northern region where only 6.7% of the of the country's natural gas is produced. Natural gas imports have also opened the possibility of using compressed natural gas (CNG) in vehicles in northern Mexico. How long will Mexico continue to be a net importer of natural gas? We explore this question and raise the logical corollary-will import volumes increase? During 1992, gas imports by Mexico peaked at 300 to 350 MMcf/d, primarily to serve incremental demand in Mexico's northern region. We begin our investigation by suggesting that natural gas demand in Mexico is a junction of GDP and the real price of gas, the latter being tied to U. S. prices. Low U. S. gas prices have driven Mexico's import strategies. If downward pressure on U. S. gas prices continues, the import market in Mexico could be preserved through the end of this century. Other factors contribute to the prospects of a long-run import strategy, in particular, capital investment constraints at Pemex; the need to substitute cleaner burning natural gas for the residual fuel oil used widely in Mexico; and a North American free trade zone which may encourage greater gas imports by Mexico. We conclude that it is reasonable for Mexico to remain a net importer of gas for at least the next 10 years. 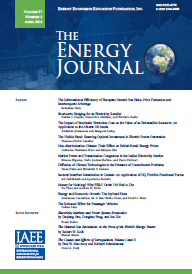 This paper traces the evolution of natural gas trade among Canada, Mexico, and the United States in the 1967-1992 period. In addition, the provisions of the North American Free Trade Agreement (NAFTA) that relate to natural gas trade are examined in the light of the corresponding aspects of the Canada-United States Free Trade Agreement (FTA). One of the main conclusions to emerge is that exports from Canada to the United States would likely continue to dominate North American natural gas trade patterns under the NAFTA. Past experience suggests that regulatory policies play a crucial role in determining trade patterns. In the case of Canada and the United States, the policies of deregulation implemented by the two countries prior to 1989 have proven to be much more important than has the FTA in encouraging cross-border trade in natural gas. Since the NAFTA allows Mexico to maintain a highly interventionist approach to energy policy, an internally-driven process of policy change will be required to liberalize natural gas trade between Mexico and the other parties to the Agreement. A few specific developments relating to natural gas trade among the NAFTA parties are also examined in the light of the Agreement. The proposed North American Free Trade Agreement (NAFTA) has been criticized because it failed to open Mexico's hydrocarbon reserves to development by private parties. This failure is an economic tragedy. Consumer welfare will clearly be reduced as a consequence. However, the loss is confined to Mexico where economic growth rates may be reduced by as much as one half of one percent per year. Otherwise, the agreement will have insignificant impacts on the world oil market. Future levels of production and prices will be unaffected by the agreement. How Might North American Oil and Gas Markets Have Performed with a Free Trade Agreement in 1970? Deregulation on both sides of the U.S.-Canadian border has made certain aspects of trade agreements largely superfluous in the near term. It is over the longer term that the impact of the NAFTA will become apparent. To grapple with this issue, simulations are attempted of oil and gas trade between the United States and Canada as if the NAFTA had been in place before the first oil price shock of 1973. The simulations suggest substantial additional exports of Canadian oil and gas would have enabled the United States to back out volumes of OPEC oil during the critical years of the late 1970s and early 1980s. This would have served to dampen world oil markets during the years of OPEC ascendency--not dramatically, but not negligibly either. By promoting closer integration of energy markets, the NAFTA should lead to more cohesive North American responses to any future world oil shocks. Since trade in coal between the United States and Canada was never restricted and since the prospects for U. S.-Mexican coal trade are small, an), effects of NAFTA will be indirect. Changes in gas and electricity trade might arise. The uncertainties are such that even the direction of the indirect impacts, is unclear. Thus, it would be folly to predict the magnitudes. NAFTA then may prove the smallest of many disruptive influences acting on coal markets. Differences in locational spot prices in an electric network provide the natural measure of the price for transmission. The ubiquitous problem of loop flow requires different economic intuition for interpreting the implications of spot pricing. The DC-Load model is the usual approximation for estimating spot prices, although it ignores reactive power effects. This approximation is best when thermal constraints create congestion in the network. In the presence of voltage constraints, the DC-Load model is insufficient, and the full AC-Model is required to determine both real and reactive power spot prices. Since 1985, there have been important changes in the Mexican petrochemical sector, including trade liberalization, deregulation and the elimination of subsidies. NAFTA represents another step towards liberalization of the sector. Given the low tariffs currently applied to international trade among the three nations, we do not anticipate major impacts of NAFTA on trade flows. Nevertheless, the elimination of restrictions to foreign investment is expected to increase capital flows into the sector and to promote productivity increases. On the other hand, the new barriers to trade in petrochemical feedstocks and the restrictions on private investment in infrastructure may negatively affect the sector's growth, making it necessary to adjust domestic regulations to improve the performance of Pemex. This paper reviews the impacts of NAFTA on the environment. Discussion focuses on the degree to which economic conditions in Canada, Mexico, and United States are consistent with the assumptions on which the benefits of free trade are based. Specifically, we discuss how NAFTA may exacerbate or alleviate the environmental impacts of economic activity via environmental externalities, the rate and efficiency of resource extraction, increased income, increased trade and transportation, and harmonizing environmental policy among nations at different levels of economic development. Because of difficulties in comparing different types of environmental impacts, we do not offer a conclusion about the overall effect of NAFTA on the environment, positive or negative. Rather, we argue that NAFTA must preserve the rights of all affected parties to intervene so that the costs and benefits associated with a particular project that arises out of increased trade can be evaluated on a case by case basis in the same imperfect way that such issues are addressed within the confines of a single nation. Oil is a fundamental component of nationhood in Mexico. The 1938expropriation of oil resources concluded a process of internal politicalconsolidation and thus became the most important symbol of nationalism. Mexico has been undergoing a process of economic reform that has altered the country's economic structure and has subjected it to international competition. Oil in particular and energy in general have been left untouched. There is recognition that without an equal reform of the energy industry, the potential for success will be significantly limited. While the Constitution allows private investment in the industry-with the exception of the resource properties themselves--the Regulatory Law bans any private participation. Because of its political sensitivity, however,amending the law in order to reform the oil industry will necessitate a domestic initiative rather than foreign pressure. In this perspective, NAFTA served to slow and postpone the reform of the industry, rather than the opposite. Once NAFTA is well in place, the industry will have to face competition.